This is Dave Schumaker on Christmas Eve, 2010, at the Humboldt Bay National Wildlife Refuge. Yesterday morning we had coffee. This morning, his wife called to let me know that Dave died in his sleep last night. 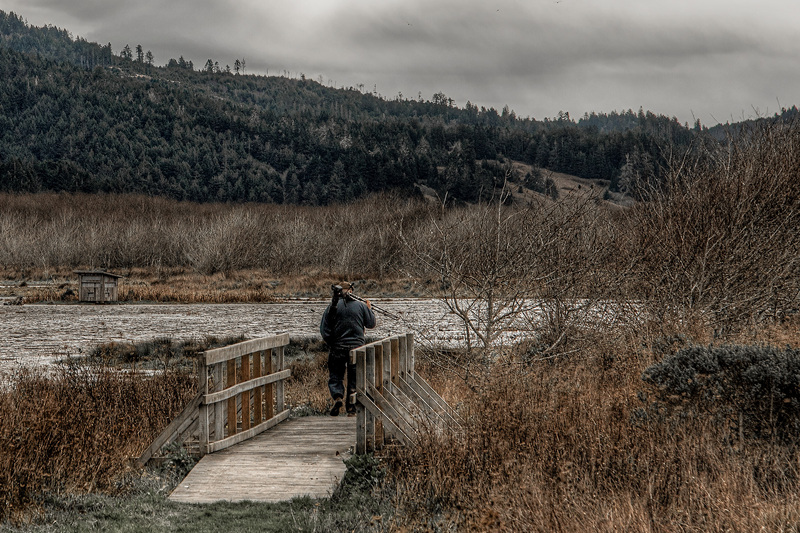 This entry was posted in Photography and tagged Dave Schumaker, Humboldt Bay National Wildlife Refuge by dod488. Bookmark the permalink. Thank you for sharing. Such a sad day it is today. He was such a nice person and so friendly.